Regardless of whether you are representing yourself in court or not, it is highly advisable to speak to a lawyer so you thoroughly understand all your options and any risks regarding your case. Even though it is tempting to ask and seek their advice, no one employed by the court system will be able to provide you with a lawyer recommendation. Having a lawyer represent you in a criminal case is important because they know the best course of action to pursue, they will be able to drafter and file the proper paperwork with the court, they will know what evidence will help your case, they will also know the right questions to ask any witnesses or representatives of the opposing party. 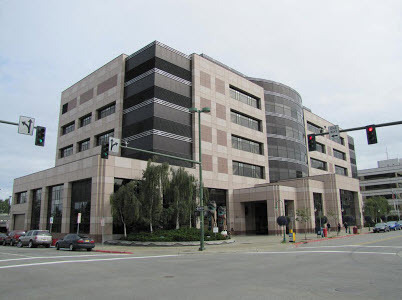 The mailing address of the Anchorage court house is 825 W. 4th Avenue, Anchorage, AK 99501-2004. Regular business hours are Monday through Thursday 8 am until 4:30 pm. Fridays, they are open 8am until noon. They are closed on official holiday. To reach customer service for general questions, please call 907-264-0514. The criminal department can be reached at 907-264-0471. It is important to note that all members of the military are entitled to free legal assistance, but that is limited to the availability of personnel and resources at the time. Veterans are not eligible for free legal services. JAGs (Judge Advocates) are military lawyers and they aid service personnel in all legal and non-legal issues. Sometimes an interpreter is required to allow for clear communication between everyone in the court room. In addition to having excellent written and oral skills, a qualified interpreter will have a working knowledge of all current court rules, the process and the current statutes in Alaska. They will also be able to speak professionally to lawyers, judges, administrators, and other members of the court room. An interpreter must be able to listen, understand, retain, summarize, and communicate the exact meaning of the original idea/message so the person that is not fluent in the English language will be able to be on “equal footing” as all English speaking people in the room. Brenda Aiken, the language services coordinator at baiken@akcourts.us or Stefanie Burich, who is the interpreter services coordinator for the Alaskan court system at sburich@akcourts.us. 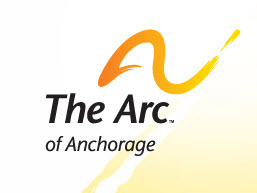 Arc of Anchorage is an outpatient only facility and they can be reached by calling 277-6677. Reflections is located at Point Woronzof provides inpatient treatment for women who are chemically dependent. For more information, please call 276-6430. RITE, Inc. is located at 307 E. Fireweed Lane (suite 201) and they are an alcohol and drug treatment center. They can be reached by calling 562-7483. The number for the narcotic drug treatment center is 276-6430 and the intervention helpline is 272-1174.